Landscape Construction - What is Landscape Construction? Within a landscape, materials such as wood fencing, stone, pavers, and sometimes, plastics, are referred to as hardscapes; hardscape services include stonework such as outdoor kitchens, barbecues, fireplaces, retaining walls, fire pits, and flagstone patios along with wood arbors, decks, and fencing. Water features such as fountains, ponds, dry river beds, and waterfalls are also considered hardscapes. Softscapes typically refer to services and installations involving plant and other organic materials: annuals, perennials, shrubs, grass, trees, and soil. Softscape services include landscape architecture, design, ornamental bed and tree installations, landscape renovation, and master planning for estates and large residences. Landscape Construction projects are permanent to semi-permanent installations and should be considered an investment in your home. These projects can range from only a couple hundred dollars to thousands of dollars depending on the number of services involved and complexity of the project. Survey your landscape prior to your consultation. Be cognizant of any potential problems such as drainage issues, soil conditions, etc. 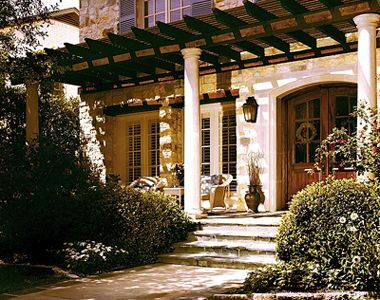 Think of how you use your landscape – Entertaining, athletics, playground, relaxation, curb appeal? Understand any natural pathways present in your landscape. Would you like them changed? Browse books, magazines, and Yardhookup.com for landscape styles, ideas, and pricing. Express your thoughts, expectations, and budgetary concerns up-front during your landscape consultation. This will save you time and grief, and assist the contractor during bid and design preparation. Request and check all contractor references and inquire if the contractor is licensed and insured. Once landscape construction is completed, some installations will require ongoing maintenance either by the contractor or the homeowner. Request a maintenance schedule (where applicable) and inquire up-front if maintenance is part of the installation price? Ensure you understand all contracts and service warranties prior to signing. 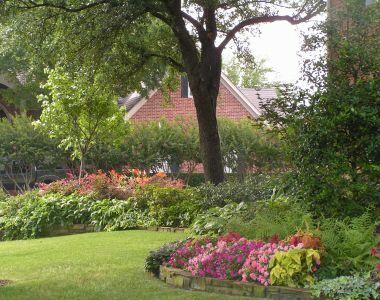 Check out the Fort Worth Botanic Gardens or the Dallas Arboretum for additional landscaping ideas.